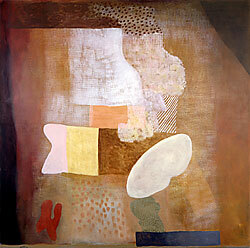 Robert Natkin was one of the most important abstract painters of his generation. Throughout the second half of the Twentieth Century, he painted lyrical and powerful canvases, which are represented in the permanent collections of major museums as well as numerous prestigious corporate and private collections worldwide. Natkin's work has been exhibited in leading galleries in the USA, Europe, and Japan.